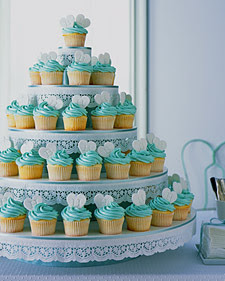 Wedding cake, the traditional dessert option was updated into cupcake tiers back in 2005. Now, two years later, they’re everywhere and I am so over it! Similarly, candy stations became popular last year which are another fun alternative, but they too are getting over used. Aren’t there any other dessert options out there?!? you said it girl! so sick of cupcakes and candy stations! for my wedding in august we did tons of different desserts including mini root beer floats, mini banana splits, brownie pops, cookies with milk shooters, petite peach pies with lattice crusts, cinnamon sugar doughnut holes, etc. as much as i love cupcakes and candy i refused to do them because they are everywhere! I was at Endochina Market yesterday, and found some great SYRUPS for mixing into drinks (think a Shirly Temple= cherry syrup with 7up). Wouldn’t it be fun to have a “Soda Fountain” where people could make their own Lychee, Elderberry, or Lingonberry soda pops?